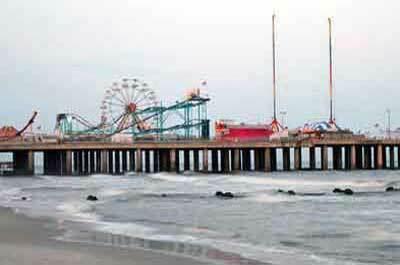 New Jersey has water parks within a short driving distance from every corner of the state. 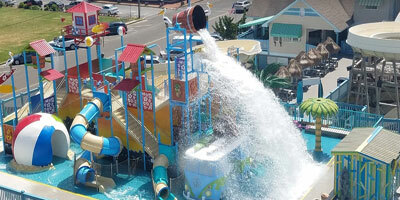 The variety of the parks range from a full resort with the indoor park open year round and an on-site hotel, on location as one of the many attractions at a Jersey Shore amusement pier, and a water park connected with a huge nationally recognized family amusement park. Connected with Pirates Cove Amusement Center. 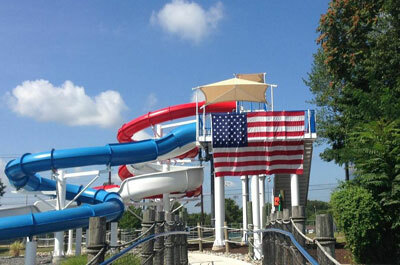 the park is located in northwest New Jersey, 10 miles east of the Delaware River and 65 miles west of New York City, this family fun center has many water attractions including the Action River Ride, "Black Hole" #1 Rated Water slide,The Pirates Plunge Body Slide, a 1,000 Gallon Dumping Bucket, and more. Free Parking, Free Picnic Area and Free Water Park included with paid admission! Breakwater Beach Water park located in the heart of Seaside Heights, NJ is open from Memorial Day through mid September. 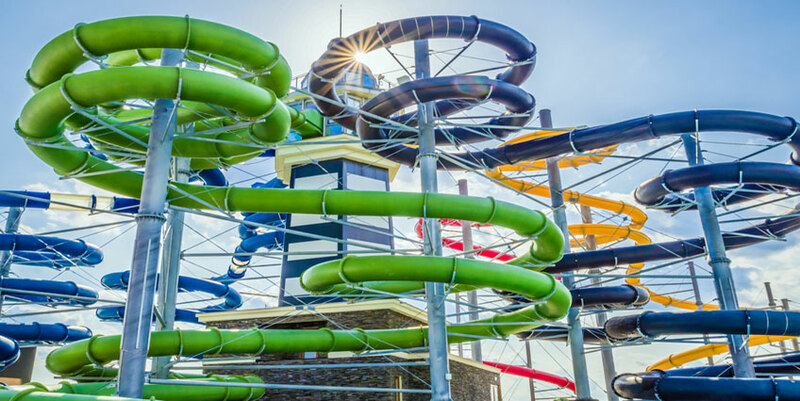 Fully recovered and restored, this state-of-the-art water park boasts one of the largest interactive play area on the North Atlantic Coast. The little ones will splash in the safe, soft and clean toddler area while the bigger kids slide and soar like never before on the all new Two If By the Sea. Don’t miss the Nantucket Bucket, a trip down the lazy river and our hot springs whirlpools. Every member of your family will have tons of wet water fun. As always, NASCO trained lifeguards are on duty to safely monitor all water activities. 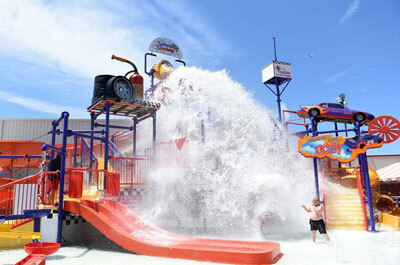 All day, three hour, and twilight offers make Breakwater Beach Water park great affordable family fun! Crystal Springs Family Aquatic Center is a municipal water park that is open to residents (at a discount) and non-residents. This modern facility has two large pools, splash pools for tots, water slides and The lazy river for the more adventurous. The facility also has a food concession stand, a shaded picnic area. Grills are available for BBQing. Alcohol is prohibited. They also offer pool side seating with over 300 deck chairs. A short walk from from The Keansburg Amusement Park, they offer a two park pass if you wish to visit both parks in the same day. They have recently undergone some upgrades to their facilities. 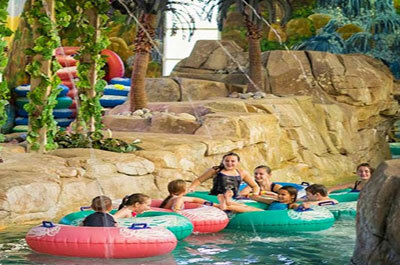 They feature over 18 water slides, a lagoon pool, a separate toddler play area, a Lazy River, two spa pools, lounge chairs with an optional umbrella, lockers and dressing rooms, and a full serviced snack bar. 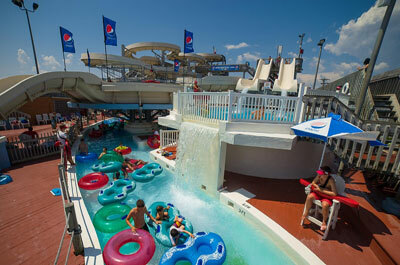 Six Flags Hurricane Harbor is a premier, top of the line water park. 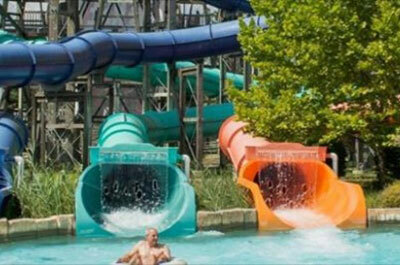 They offer an awesome number of family, kids, and thrill water attractions. 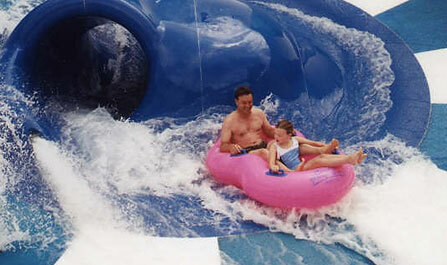 Recently they have added the Tornado whirlwind, a funnel-shaped water attraction for tubing thrill seekers. This exciting water ride will blast you down a 135-foot long vortex tunnel and into a 60-foot wide funnel with a drop of more than seven stories. 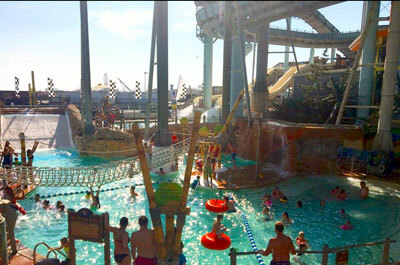 This Polynesian themed park offers slides, jets, play platforms sprays, streams, squirts, wheels, and waterfalls. 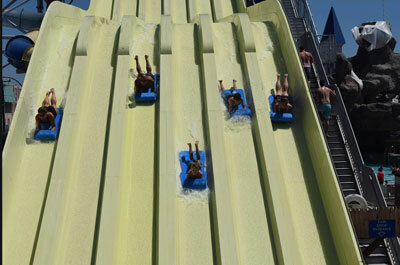 The featured slide "Torpedo Rush" , rises to a height of 60 feet. You are launched from one of two free fall drops down six stories through an enclosed, see through flume ending in with an abrupt splashdown. 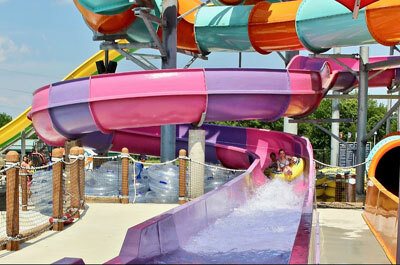 Part of the FunPlex family entertainment center an amusement park The Splashin' Speedway features the wacky water race track and many water slides, water cannons and sprays. 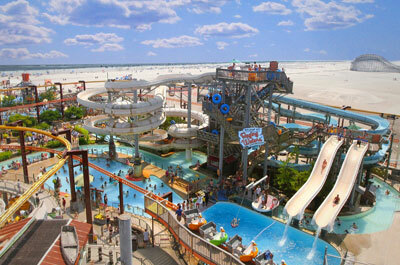 Wildwood Located behind Surfsider Pier, this tropical-themed water resort offers both wild and relaxing activities for Wildwood visitors. Take the plunge on the five-story Cliff Dive and drop 5 stories in 3 seconds, Surfs up at Bonsai Beach where kids and parents can enjoy the interactive play area complete with water jets, climbing ropes and slides especially for the little ones. Located in Mariner's Landing Amusement Pier this beach front water park features: Water park rides and attractions for all ages with two interactive children's play areas. a picnic facility for group outings, a Wreckers beach grille, and a locker shop Take the whole family over to the activity pool and try out all of the family friendly obstacles. 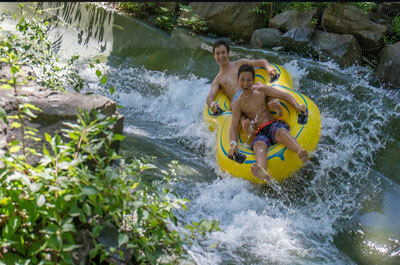 GO WILD and plummet over Shotgun Falls, drift through the Wildwood skyline on the Sky Pond Journey and discover all of the unique water attractions. Raging Waters offers two unique kiddie play areas. 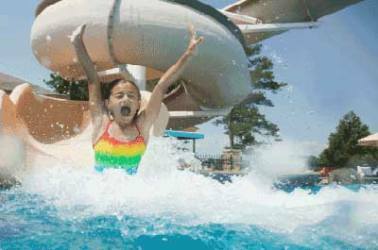 Discover the water canons Shipwreck Shoals or play boys against girls at Camp KidTastrophe. The three level activity area boasts fun for the whole family with cargo nets, climbing ropes, water guns, water sprays and slides in these interactive children's play areas. 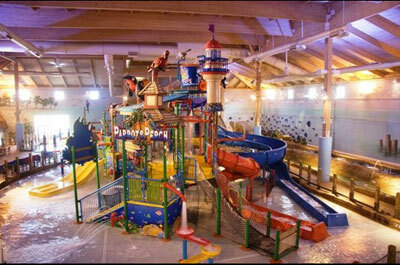 A free standing indoor water park open year round with a retractable roof that opens during the warmer months. The attractions feature: SAMAZON Adventure - An awesome ropes course, an indoor Flow Rider surfing simulator, a cafe with snacks, soft drinks, cocktails, and beer, a large arcade, and free Wi - Fi. During the summer the Beach Club, a massive outdoor water park is open. . Access is included at no additional cost to all. The outdoor park features a leisure pool, a children's splash park, a full service Tiki Bar, and a 12,000 sq ft wave pool, --- and cabanas! 8th Street & Bay Ave.
A family park for all ages with attractions that range from "Cowabunga Beach" toddlers ages nine months to five years; Six Giant Water slides with single and double tubes; the "Lazy Crazy River"; and the "Giant Tipping Bucket". They also have a Sun Deck where you can relax and sunbathe nearby where the children are playing.